With 15 years' experience in concrete pumping, we provide our customers with quick, reliable and excellent quality service, making sure we give them the best results every time. We pride ourselves on providing a clean and tidy job every time and always striving to provide a professional service. Our staff are well trained and dedicated to being courteous and always willing to help out on site if the customers requires assistance. We are available 7 days a week 24 hours if the need arises. We have one of the best maintained fleets within the area and our workers are dedicated to always providing a clean and tidy job every time. We always offer assistance to our customers whenever the need arises so if you need competitive concrete prices in Newcastle, we are the people to call. Talk to any of our expert concreters in Newcastle for advice regarding concrete pumping, we are available for commercial and residential jobs. 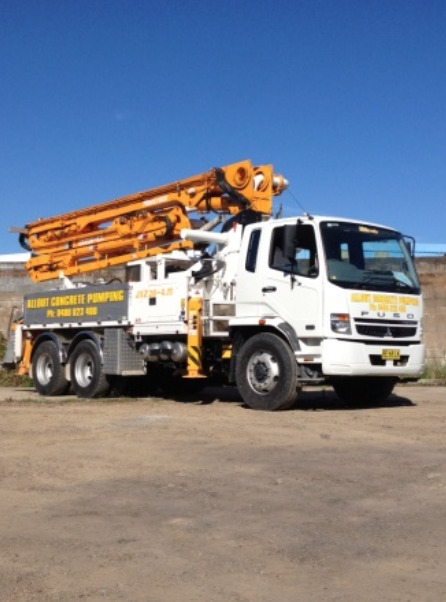 We use specialised heavy-duty machinery, including 3 mobile concrete line pumps, one of which is designed for small compact sites, as well as 24m, 28m, 37m and 42m boom pumps to ensure we give our customers excellent, reliable and quick concrete pumping services. All vehicles are operated by 2 courteous, efficient and well trained staff who all perform in accordance with occupational health and safety guidelines. All vehicles are in excellent working order, serviced regularly and carry all of the relevant Workcover required documentation. Our customers are concreters, builders and construction companies who desire competitive concrete prices in Warners Bay, Hunter Valley, Newcastle and the Central Coast. 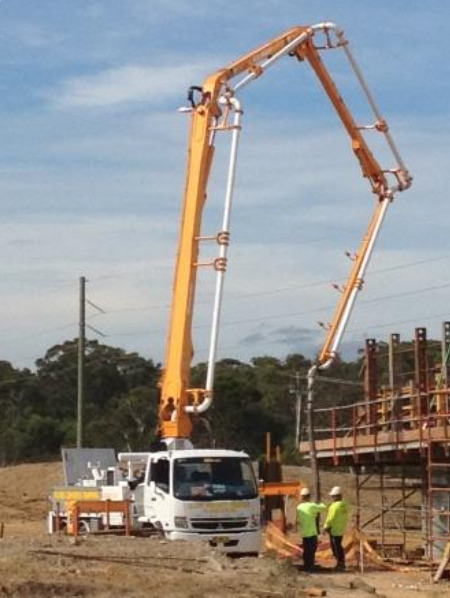 We are currently one of the subcontractors working on the Hunter Expressway where the clients require concrete pumping services at short notice and require well maintained vehicles and responsible operators to ensure smooth efficient completion of the project. We are Open 24/7.